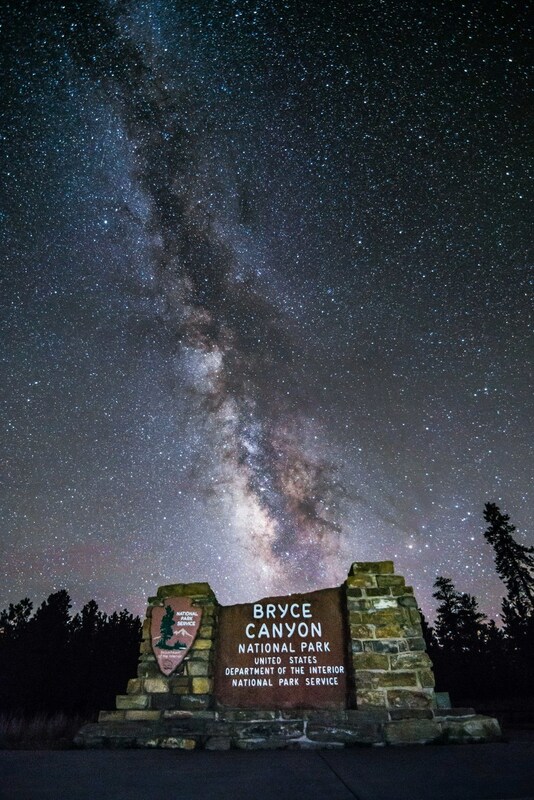 Due to popular demand for guiding and instruction we offer custom Bryce photo tours. 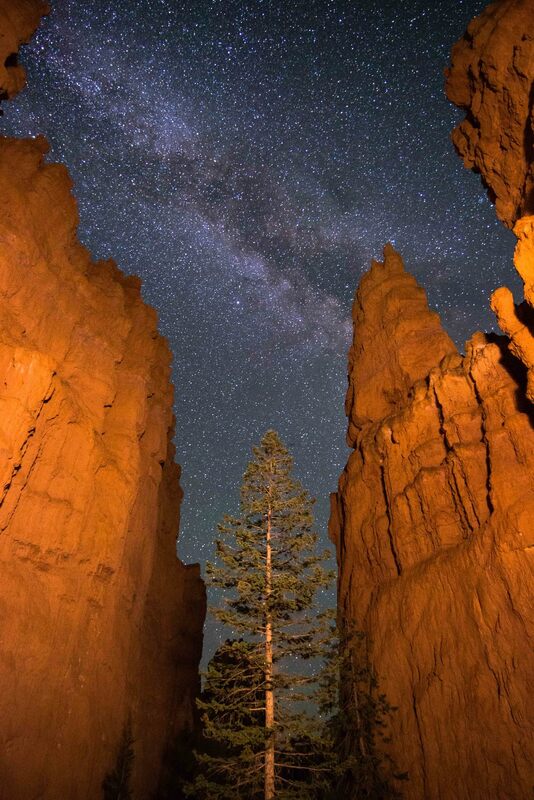 The unique rock formations known as Hoodoos that decorate the amphitheaters at Bryce Canyon National Park beg to be photographed. 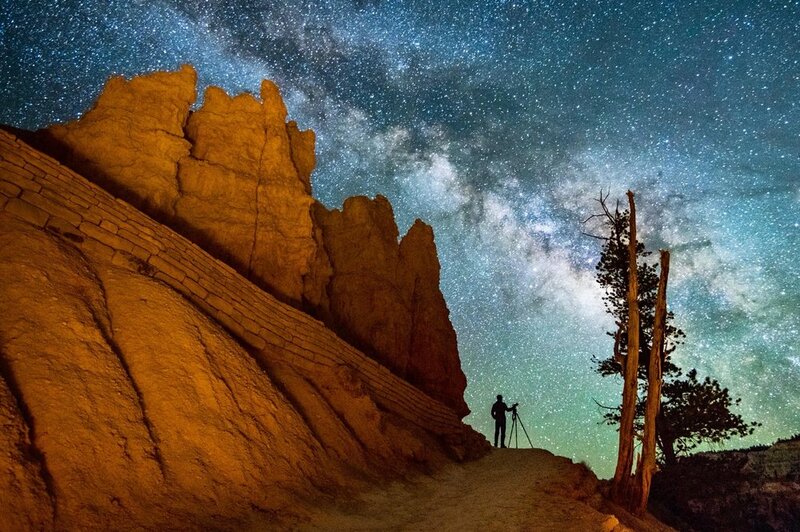 This National Park hosts one of the darkest skies in the United States, showcasing a spectacular blanket of stars and during the Summer months, an impressively vibrant Milky Way. 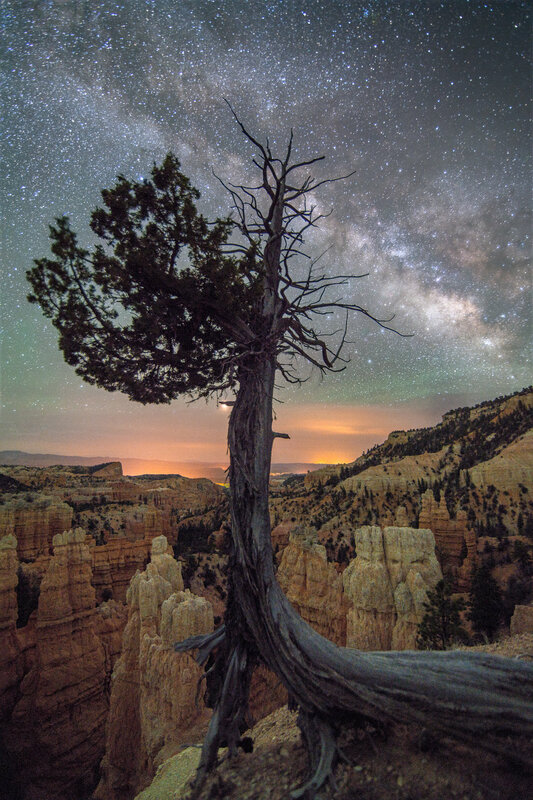 - For Astro tours we meet 1 hour after sunset, and photograph for 3 hours. - Expect to visit approximately 2 areas during your experience. - Up to 1 mile of hiking (Customized to meet your needs and wants). 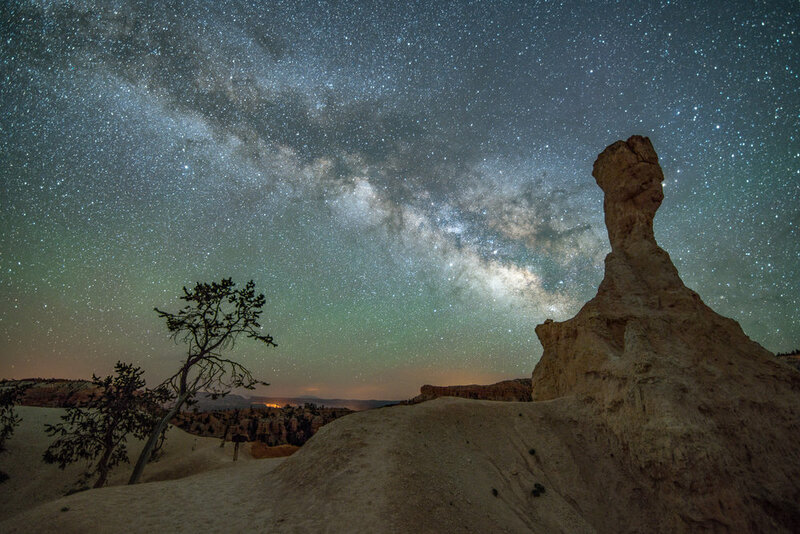 THE "LOOK" OF NIGHT TIME IMAGES DEPENDS ON THE CYCLE OF THE MOON AND THE POSITIONING OF THE MILKY WAY. Please click the moon calendar button below to find out what to expect during your visit.